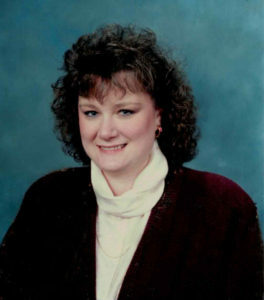 Evansville, IN – Debra Lynn Montgomery, age 63, of Evansville, Indiana, passed away peacefully on Thursday, August 30, 2018, at Deaconess Gateway Hospital, Newburgh, Indiana. Debra was born on March 27, 1955 in Evansville, Indiana, the daughter of the late William and Dorothy (Goerges) Montgomery. She is survived by her sisters, Jean (Montgomery) and her husband James Dierlam, Jayne (Montgomery) and her husband C. Wayne Oldham, Anna Marshall; nieces and nephews, Cheryl Higgins, David Oldham, Teresa Reed, Tamera Oldham, Shelly Matthews, Angela Newcomb, Stacy Ice; several great nieces and nephews; loving kitten Ah’dor’bow’s and Bobbi “Bobbetto’s” special sheltie dog; and numerous loving, caring and devoted friends. She is preceded in death by her brothers, Donald Montgomery and William Montgomery, Jr.
Special thanks to the staff at the DaVita Center and also the nursing staff at the Deaconess Gateway 400B Unit for going above and beyond the call of duty. A Celebration of Life will be held Sunday, October 14, 2018 at 2 p.m. in the Chapel at the Christian Fellowship Church, 4100 Millersburg Road, Evansville, IN. Friends may send a condolence to the family at www.SimpleCremation Evansville.com.